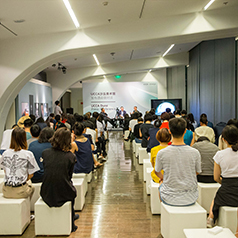 UCCA is proud to announce the establishment of its first museum beyond Beijing, UCCA Dune. An art destination located a few hours by car or train from Beijing in the Aranya Gold Coast Community, Beidaihe District, Hebei province, UCCA Dune will be programmed and operated by UCCA Foundation, presenting a full slate of exhibitions and projects each year. Designed by OPEN Architects, UCCA Dune has been built by Aranya, which has entered into a strategic partnership with UCCA Foundation to support the museum’s operations and programming. 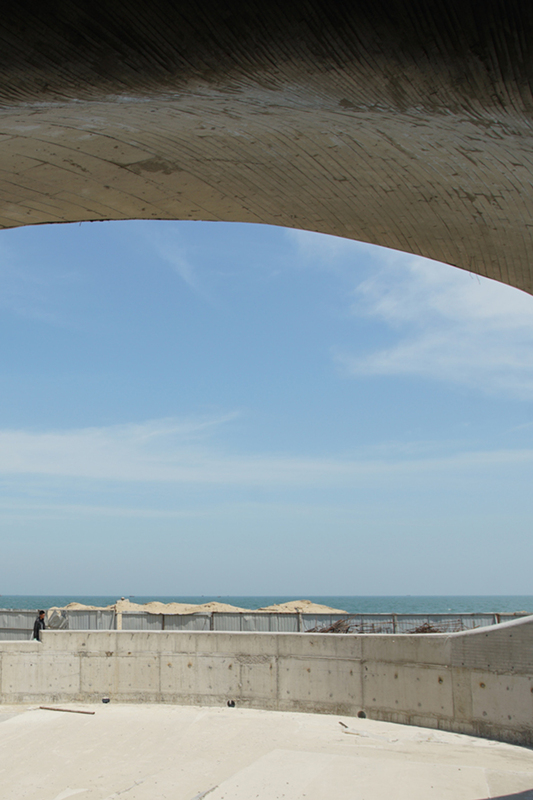 UCCA Dune will open to the public later this year. UCCA Dune is conceived as an art and architecture destination, where exhibitions will unfold in dialogue with the building and its natural surroundings. Its inaugural exhibition, titled “After Nature,” will explore the shifting relationship between humans and nature against the backdrop of China’s last three decades of breakneck development. It will include work by artists of different backgrounds, united by their distinctive concern for the ethics and aesthetics of living—individually or collectively—with the natural world. 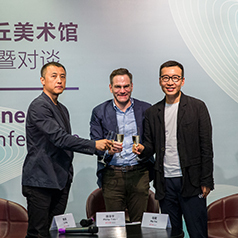 As Beidaihe’s first contemporary art museum, UCCA Dune will bring world-class exhibitions to a new region, allowing UCCA to present art in a special new context and setting. The building’s rich program is contained by a string of cell-like rooms, including galleries of different shapes and sizes, a café, and a reading room. After entering, visitors proceed through a long tunnel and domed reception area before reaching the galleries. Here, natural light enters through skylights, giving the space an atmosphere both sacred and serene. Viewers look out onto the sea through apertures located throughout the building. A spiral staircase leads visitors up to a viewing platform, where they can take in the picturesque surroundings. In 2019, a long causeway will be built to another, smaller gallery partially submerged in the ocean, reachable by foot during low tide. Aranya is an innovative art vacation destination, located on Qinghuangdao’s Gold Coast and designed to satisfy a wide range of living needs, both everyday and spiritual, individual and collective. Aranya hopes to work together with its residents, using its unique philosophy to create a newer, better way of living. 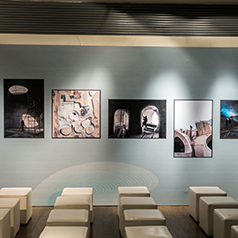 Recently, Aranya has begun a series of endeavors in the art and cultural worlds. It has been organizing annual music festivals and more than ten classical music concerts. In 2018, it launched a garage music residency project, receiving widespread praise. 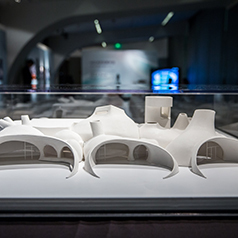 It previously hosted the Aranya Architectural Forum, and the company has participated in Beijing Design Week’s Baitasi Remade project, China House Vision, and other architectural futurism programs. Its literary endeavors, including the Lonely Library Residency and the “Mirrored Sea” poetry night, are also highly regarded. It has organized more than ten plays in the community, founded the Aranya Theater Festival, and this year began making forays into experimental and virtual-reality theater. 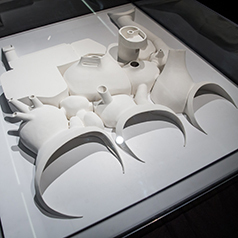 Aranya has also collaborated with artists to create such interdisciplinary projects as the Non-space Art Project, Bazaar in White, Project Alphe, and Sunrise Art Exchange. Aranya’s unique space and close-knit community has made it a favored location for artists, architects, and musicians. OPEN is a passionate team of designers collaborating across different disciplines to practice urban design, landscape design, architectural design, and interior design, as well as the research and production of design strategies in the context of new challenges. We believe in the innovative power of architecture to transform people and the way they live, while striking a new balance between the manmade and nature. OPEN was founded by LI Hu and HUANG Wenjing in New York City. It established its Beijing office in 2008. Some built and ongoing projects by OPEN include: the Gehua Youth and Cultural Center, Garden School/Beijing No.4 High School Fangshan Campus, Tsinghua Ocean Center, Pingshan Performing Arts Center, Tank Shanghai, UCCA Dune, and Chapel of Sound. OPEN has been widely recognized for its innovative work. Recent awards the firm received include the 2018 AIA Education Facility Design Award of Excellence, 2018 Civic Trust Awards, 2017 Iconic Awards Best of Best, 2016 Interior Design’s Best of Year, 2015 AIANY Design Award, 2015 London Design Museum’s Design of the Year Nomination, and the Winning Prize of WA Awards for Chinese Architecture, among many others. OPEN has been invited to participate in many important international exhibitions, including the Chinese pavilion at the Venice Biennale in 2014, the inaugural Chicago Architecture Biennial in 2015, and the “Soul of City” in Verona Italy in 2017.